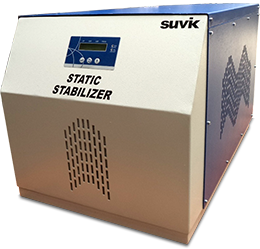 Suvik's own products development is on up-gradation from user point of view as well as new technology implementation. This also covers peripheral development on existing product line. Over and above based on customer expectation and problem faced by customers marketing gives input for the new product development. Suvik offers a tailored design services to OEMs and / or some key customers who would like to outsource their product development from cost cutting point of view. Any development on control technology or power module design in line with our today's business domain i.e. industrial electronics Suvik welcome such projects. This endeavor of Suvik helps companies not only to cut their cost but also to raise productivity and speed up time to market. Suvik also helps in playing a big role in reverse engineering of imported technology or product substitution. The whole gamut of this activities are governed by well laid infrastructure with R&D facilities supported by skilled and experienced technical staff. Customer gets confidence as the system works on a quality management standard ISO 9001 as well as the in-house R&D is certified by DSIR (Department of Scientific & Industrial Research).